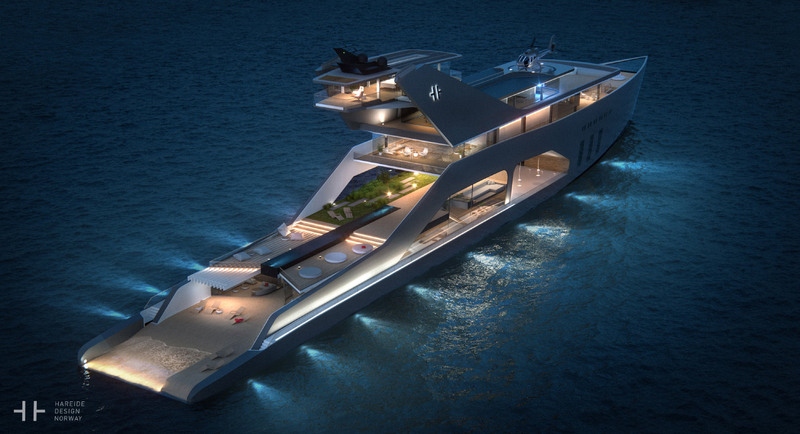 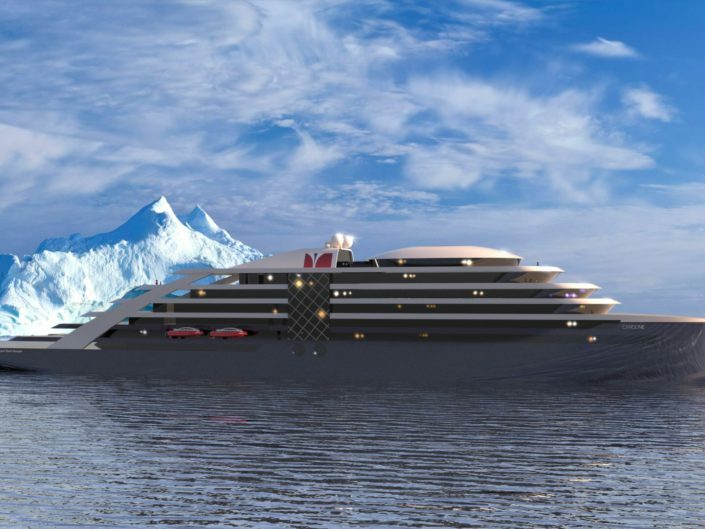 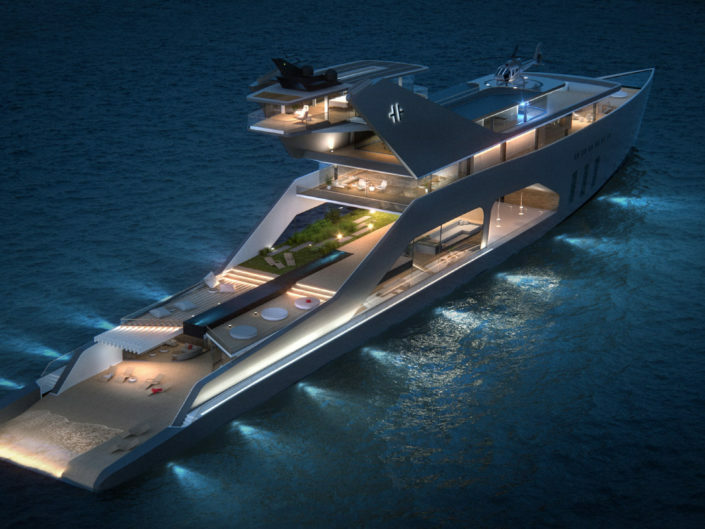 Todays mega yachts are most often designed like floating luxury hotels with interiors based on traditional luxury. 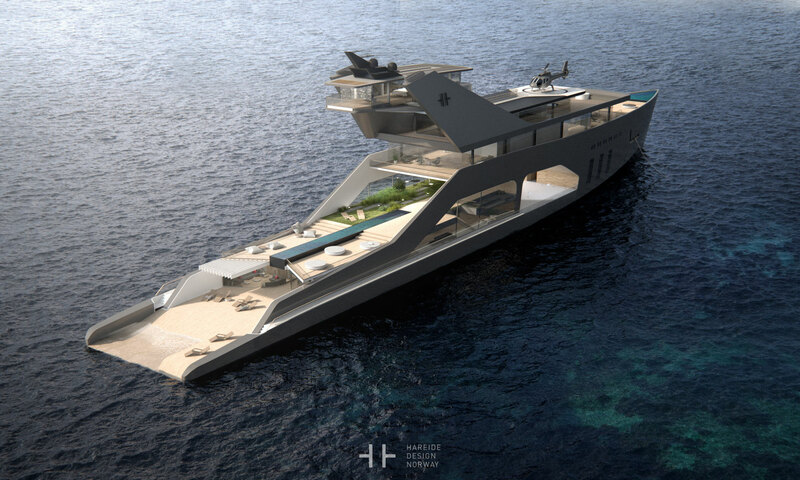 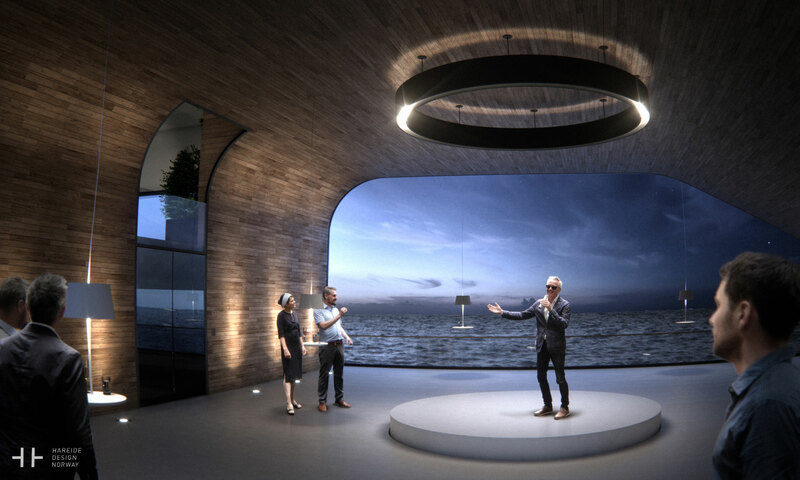 With this hybrid mega yacht concept we want to shift the focus from extrovert admiration, to creating a platform for actively experiencing the beauty of nature and the changing elements. 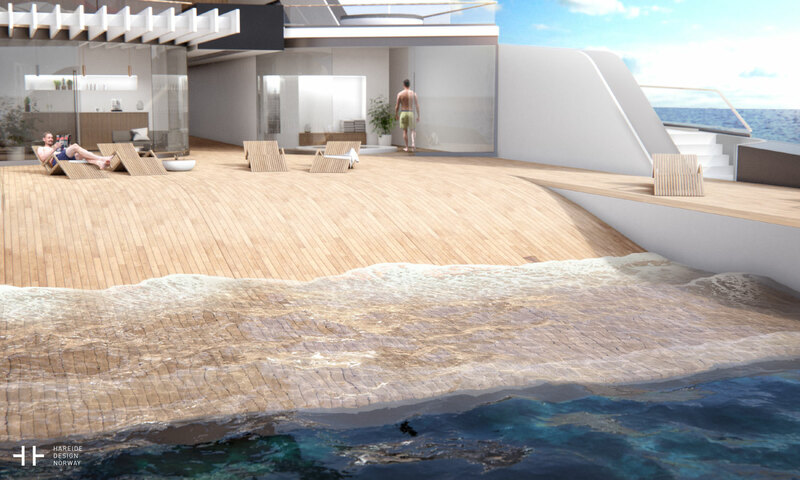 An elevated dining and viewing area, a tranquil garden surrounding a 20 m pool and a seamless transition to the water at the stern are contributing a complete new and exciting experience on board. 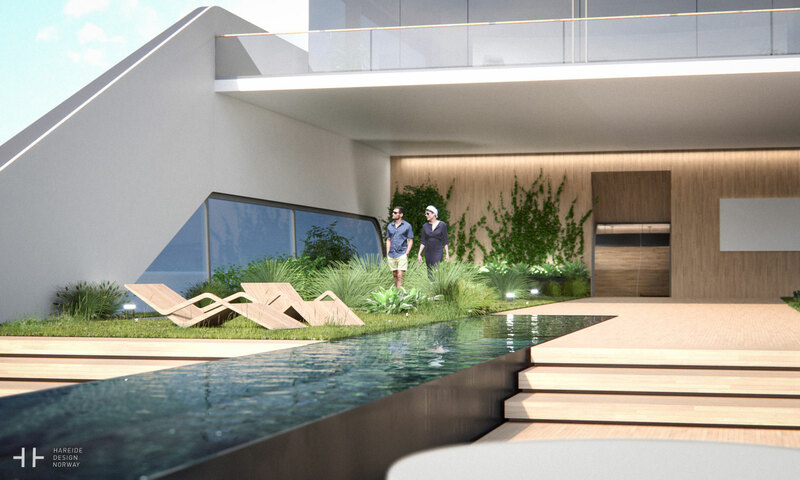 The multifunctional space of the grand hall gives an unprecedented view and contact with the surrounding nature. 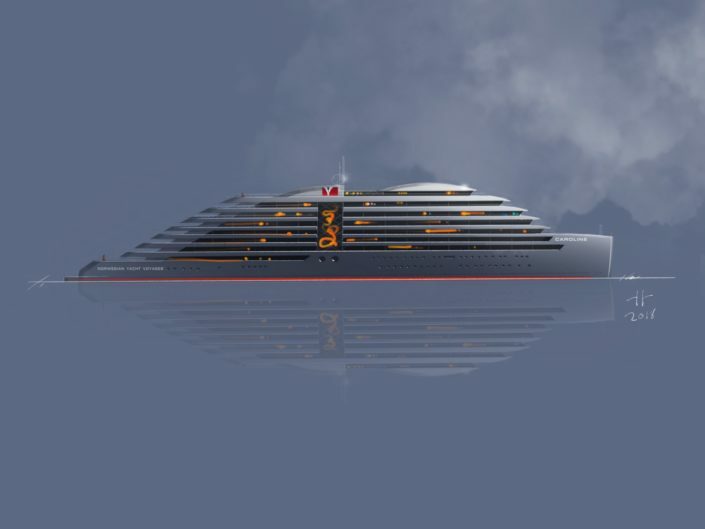 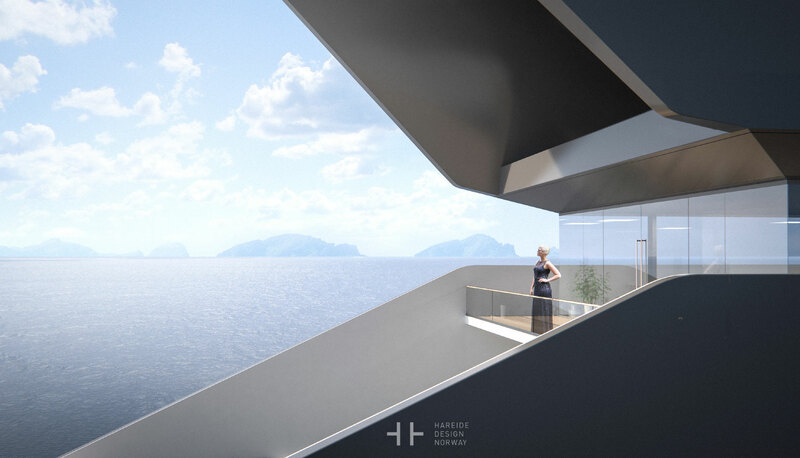 The ship is based on a classic 108 m mono hull design with the unique combination of elegance and modernity of Scandinavian design. 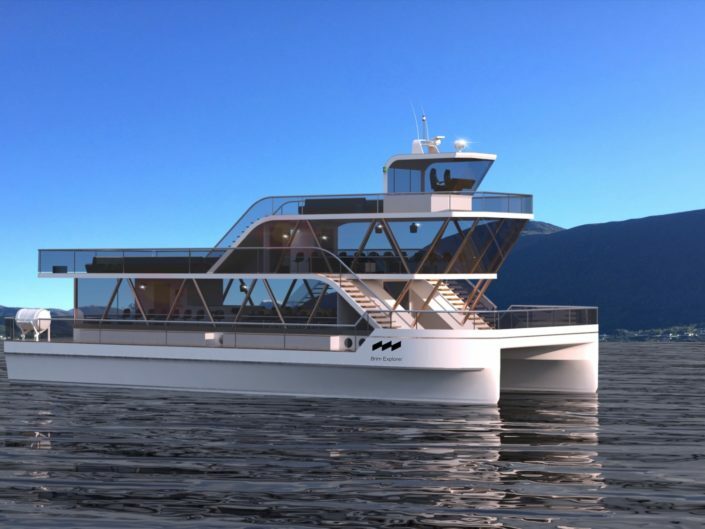 300 square meters of high efficiency solar panels charging banks of lithium-ion batteries provides the ship with sustainable energy and enough power for slow cruising along quiet shorelines. 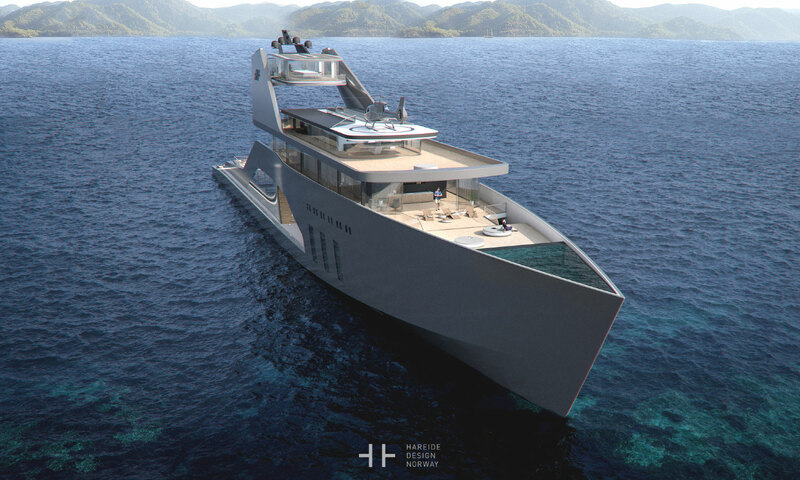 For longer distance and higher speed you also have the option for diesel-electric propulsion, and if you get visitors the helipad comes in handy off course.